South Korea’s top five banks have set out to compete for increased profitability in 2019 as they gain new momentum with group-wide reforms, executive reshuffles, structural realignment as well as strategic mergers and acquisitions. 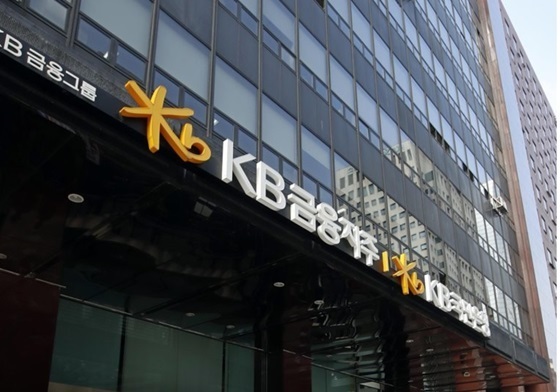 KB Financial Group, which has been Korea’s most profitable bank since 2017, will concentrate on defending its leading status in the industry by continuing to post stable profits and boosting its share value. This was evident in KB Financial Group Chairman Yoon Jong-gyu’s New Year’s message that stressed “undisputed leadership” and the importance of remaining a top-tier company across its business units. With the aim of turning the tide this year, Shinhan Financial Group is expected to make an all-out effort to overtake its rival KB. Shinhan had been Korea’s most-profitable bank for nine years, before being overtaken by KB in 2017. However, such efforts may be thwarted, given recent signs of a power struggle within Shinhan that came as the group promoted younger executives to top leadership positions in its largest-ever annual reshuffle last week. Shinhan Bank’s incumbent CEO Wi Sung-ho, whose tenure expires in March, has expressed frustration and surprise over the company’s decision to replace him with new CEO Jin Ok-dong. His remarks have led to speculation of instability at the financial group. Nonetheless, Shinhan eyes reform and leadership as its main goals for 2019, citing plans to forge strategic synergies between its business units and to seek bold reforms at all levels across areas from system and process management to products and services. Similarly, Hana Financial Group, Korea’s third-largest banking group, is also embracing swift change and digital transformation as the key to staying competitive in the new year. Its Chairman Kim Jung-tai highlighted the importance of staying ahead of fast-encroaching competition from smaller financial technology companies and internet-only banks. As for personnel stability, KEB Hana Bank, the main unit of the financial holding company, will continue to operate under the leadership of CEO Ham Young-joo in 2019. Meanwhile, Woori Bank, Korea’s fourth-largest bank, is scheduled to formally adopt a holding company structure on Jan. 11, joining the likes of its rivals. With the change, Woori is expected to aggressively work on diversifying its business portfolio beyond banking services via strategic M&As. Woori has begun preparing for such M&A activities, having filed trademarks on company titles such as Woori Real Estate Trust, Woori Investment Securities and Woori Savings Bank in July last year, according to local news reports. On the other hand, NH Financial Group is out to improve operational efficiencies at its core profit-generating banking and securities units, while paving growth in fintech and other new, innovative business models utilizing next-generation technologies this year. “In 2019, Korea is expected to permit a regulatory sandbox to innovative fintech firms; allow a third internet-only bank; and lower the regulatory ceiling for nonindustry players seeking entry into the finance business,” said NH Financial Group Chairman Kim Gwang-soo in his New Year’s message.